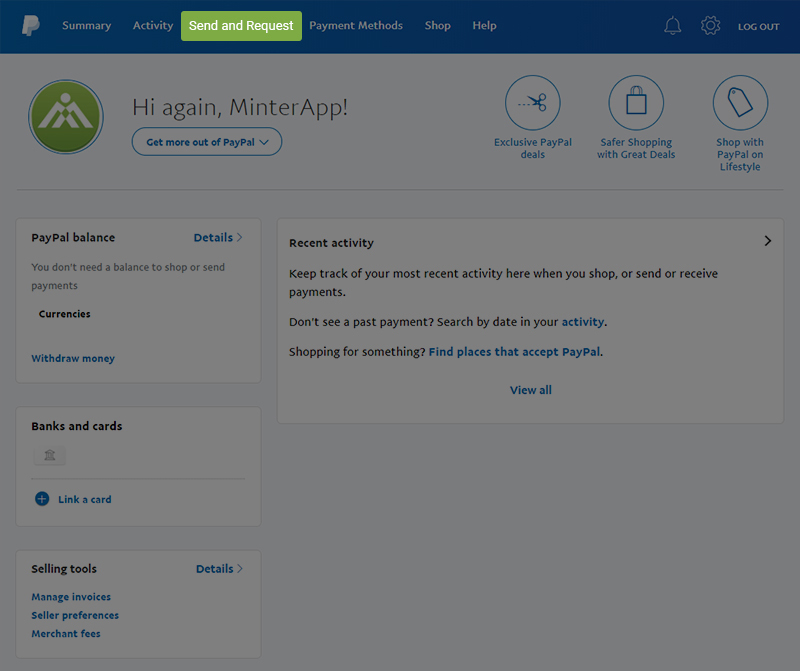 Let’s find out how to send an invoice on PayPal directly to your clients and afterward, we will see a better way to create professional invoices using MinterApp – Time Tracking and Invoicing Tool. 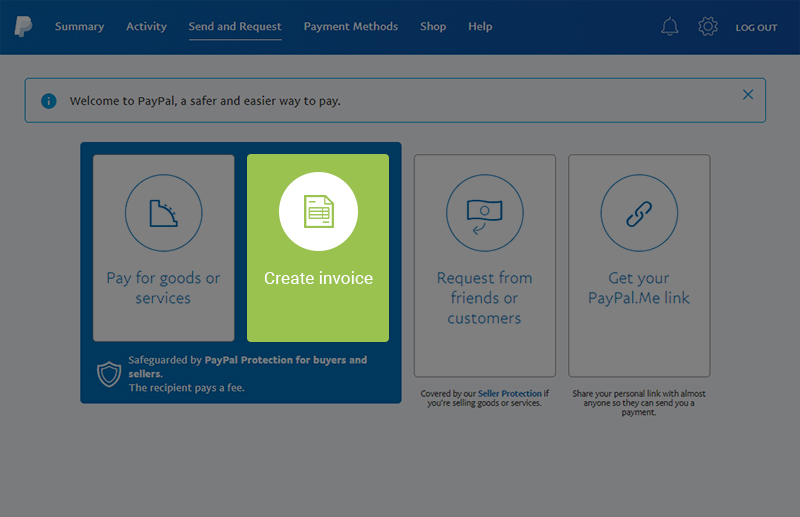 How To Send An Invoice Through PayPal? Sign in into your PayPal account. Fill up details like taxes, discounts, shipping charges, etc. 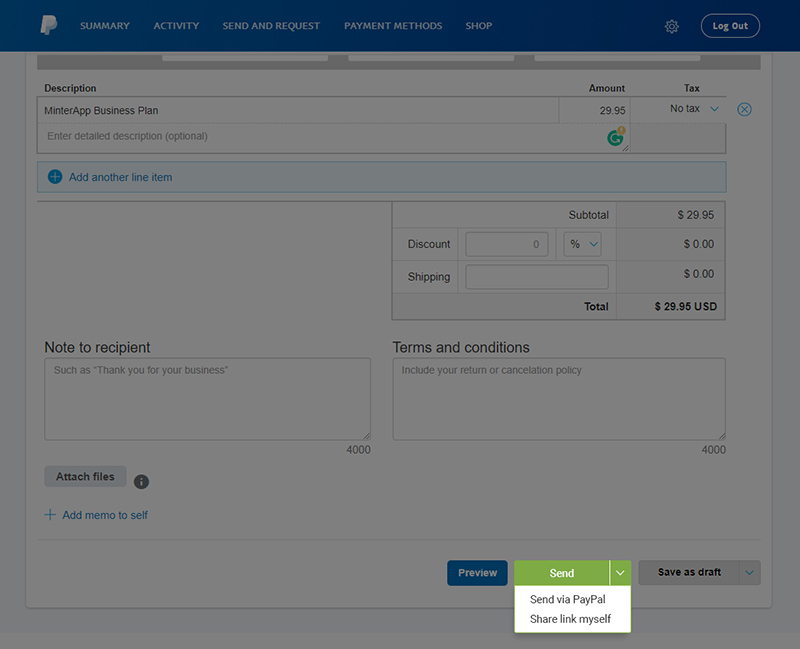 You can send the invoice directly from PayPal or you can save the link and send it to your clients. You can also save this template if you use it in a recurring manner. 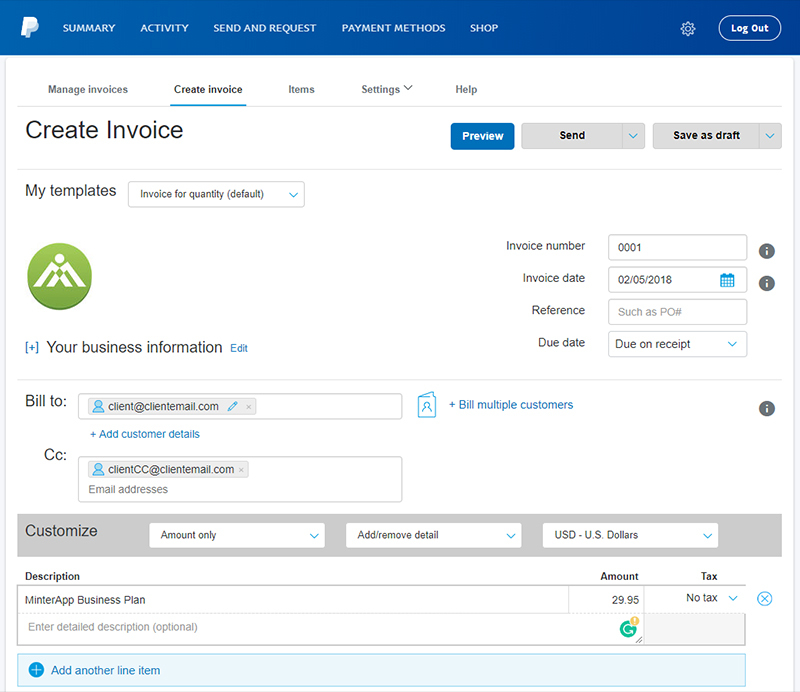 How To Create More Professional Invoices? 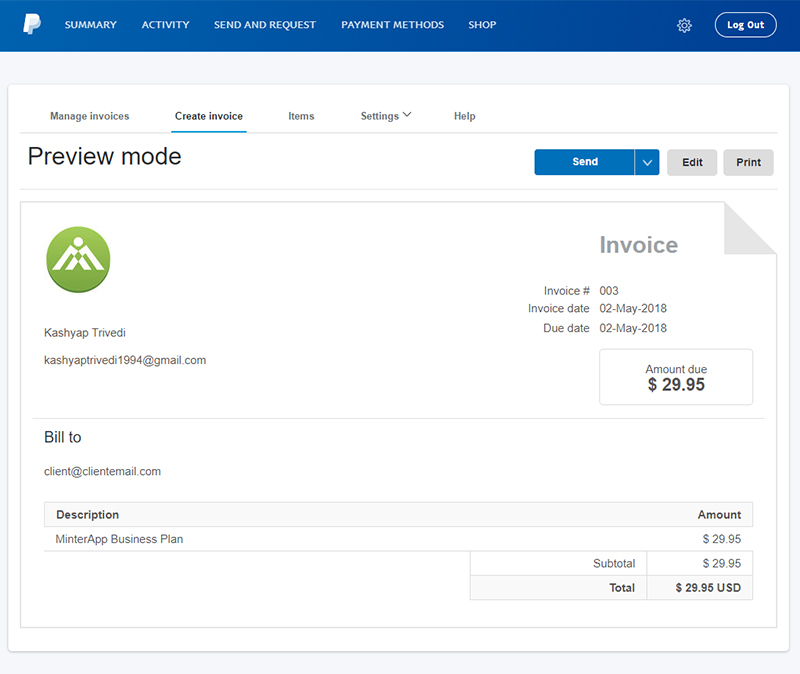 PayPal allows users to create and send invoices to their clients, but with MinterApp you can create more beautiful and professional invoices. MinterApp is an online Time Tracking Tool & Project Tracking Tool with advanced Invoicing facilities. You can differentiate Billable & Non-billable hours. 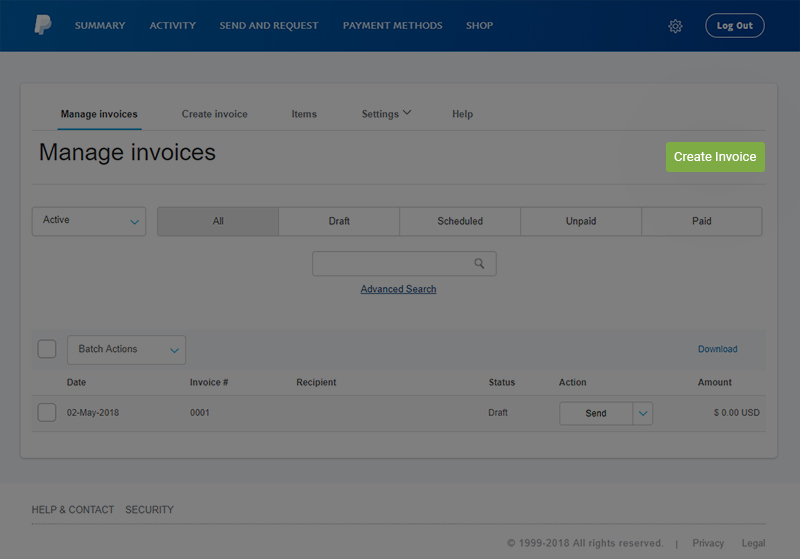 You can directly select billable hours into invoices based on the total time you have invested in a particular activity. Establish your brand image and continuity. Emboss great impression on your clients. Filter invoices by – Draft, Outstanding Amount, Issued, Late. Create labels for the status of the invoice. Connect with multiple payment gateways. Create professional invoices in faster and better way. Hence, it becomes extremely easy for a user to create invoices in MinterApp. Kashyap is a Digital Marketing Executive at MinterApp - Time & Project Tracking Tool With Invoicing. As a passionate writer, he loves to write about Small Businesses, Productivity, Problem Solving Strategies, and Digital Marketing Findings. When he is not at work, you'll see him reading books in some random cafe.